A Kids Victorian Schoolgirl Costume including a Dress and Hat – Ideal for a Historical theme, Book Week, or any fancy dress occasion! Travel back in time and experience life at a Victorian school with this brilliant Kids Victorian Schoolgirl Costume. This costume comes complete with a Dress and Hat. 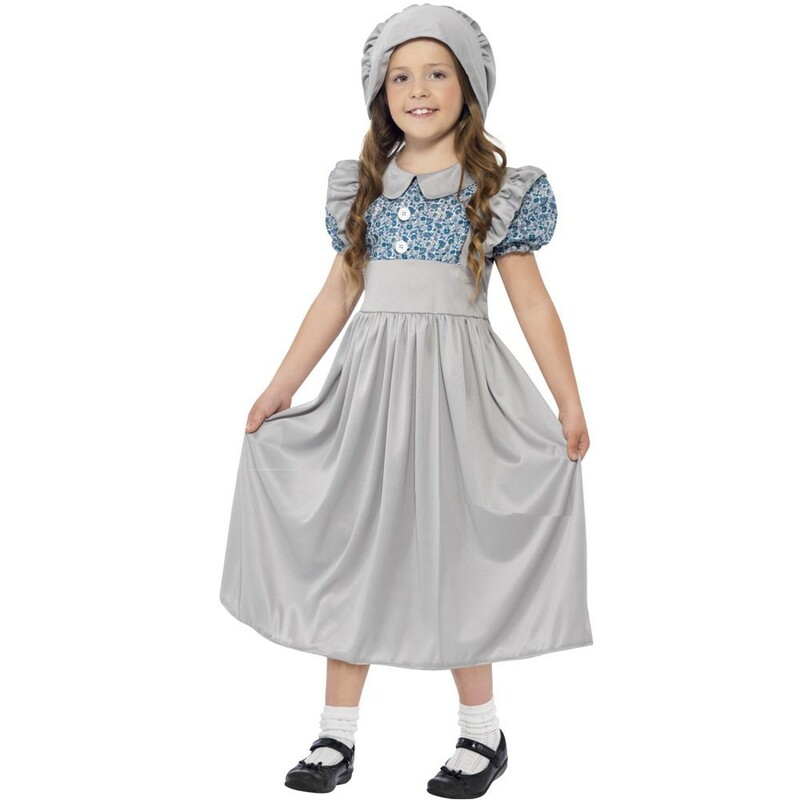 The Kids Victorian Schoolgirl Costume includes a long Grey dress, with a flower print fabric used on the chest with a puff sleeve design. 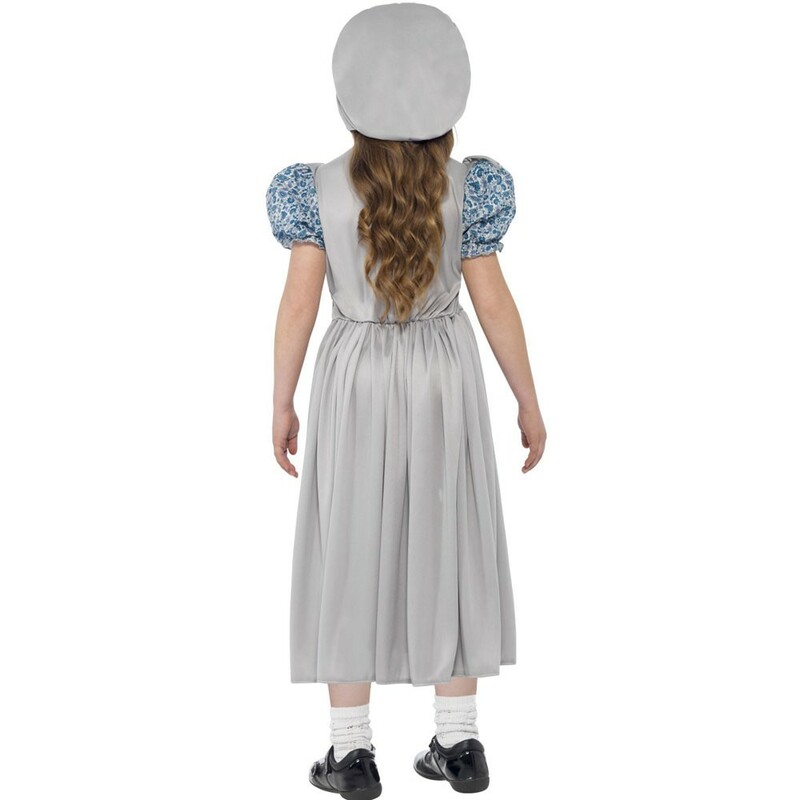 Featuring a grey collar and button detail, this Kids Victorian Schoolgirl Costume is perfect for any fancy dress occasion. With the addition of the Grey Hat, you are sure to look the best dressed on the school playground! From Book Week to a Historical theme, this Kids Victorian Schoolgirl Costume is perfect for any occasion. A Kids Victorian Schoolgirl Costume including Dress and Hat.